March was a pretty diverse month as far as additions to The Collection go, though nostalgic back-fills were the majority of my purchases. I've been a fan of Oregon's Agalloch since first being exposed to their 2002 opus The Mantle. Even so, I never managed to add a single one of the band's releases to my collection - until now. Marrow of the Spirit seemed as good a place as any to start, since it is a very recent release. 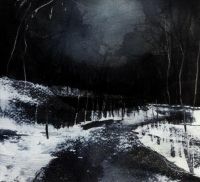 Agalloch truly are masters of their niche, blending majestic soundscapes with muted aggression for a very mellow, mournful listening experience. Here's one of those nostalgic back-fills I was talking about. This album, among others, was in heavy rotation during high school and quite a number of memories are associated with it. That being said, when I spun it again after picking it up for cheap on eBay the one memory that came back the strongest was that I really didn't like this release. 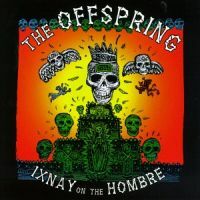 It has two songs on it that are very cool, with the title track being one of the best hard rock songs to come out of the latter half of the '80s, but most of the album sucked. I suppose I have a little bit of buyer's remorse with this one, but it does belong in my collection if for no other reason than as a cassette replacement. 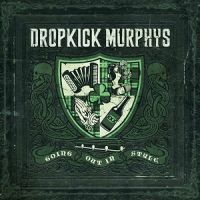 As I said last month, Dropkick Murphys sit atop the list of my favorite Irish punk outfits and picking up their latest release was a no-brainer. Just in time for St. Patrick's Day, Going Out In Style is a raucous affair that is definitely one of the band's strongest albums to date. 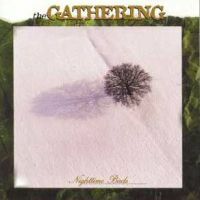 I've been a fan of The Gathering since their debut Always. The doom/death of their early days soon gave way to a much more Gothic sound featuring the lovely voice of Anneke van Giersbergen, one of metal's best female singers. Though recent years have seen the band venturing off into strange new territories that would definitely not be considered metal, Nighttime Birds falls squarely into their Gothic period. I managed to pick this one up in a 2-disc limited edition that features cuts from the EPs that book-ended the release of the album. Good ol' Lizzy Borden. One of the most underrated metal acts of the '80s, Lizzy dropped four full-lengths before being victimized by the grunge movement. 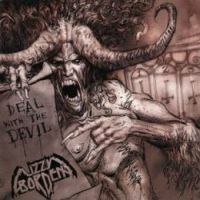 Deal With The Devil is the band's comeback album and it holds true to their original sound. Definitely a worthy addition to my collection, and something every fan of classic '80s metal should be aware of. I'm a fan of these guys, what can I say? Their style of pop-punk is catchy, enjoyable, and at times amusing. 1994's Smash was my introduction to the band, as it was for many of us, and though I had steadily added their albums to my collection I somehow missed this 1997 follow-up. eBay helped remedy this oversight, leaving only a couple of the band's earliest releases vacant from my shelves. This is sort of a semi-embarrasing acquisition, but I've said before that hair metal is one of my guilty pleasures. 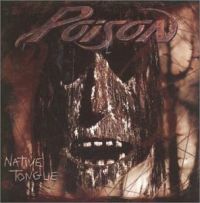 Native Tongue was one of the two Poison releases not already on my shelves (the other being Crack A Smile...), but two bucks dropped at Half-Price Books took care of that little oversight. 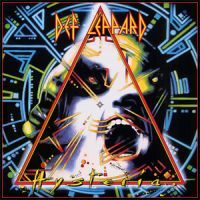 On this release, the guys took on the ultra-bluesy sound that was all the rage among the commercial metal/rock outfits at the turn of the decade, and the result is the weakest Poison album of the lot. Still, I'm a completist so there it is. I abhor greatest hits albums. In my mind, these compilations exist only to generate cash flow from fans too lazy and/or half-hearted to go out and buy the albums that contain the songs they love so much. Yet, a couple have made it into my collection during what must've surely been dark and depressed days. For whatever reason, I thought replacing my Ratt cassettes with the singular Ratt & Roll 81-91 was a smart move. I regret it, and I am ashamed. Picking up Invasion of Your Privacy is the first Step in my recovery. Until this album got an American release, I was only vaguely aware of their style of blackened doom. 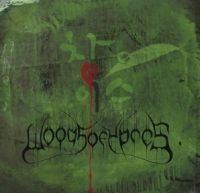 Woods 4 takes the band in a decidedly Gothic direction that bears a lot of similarities to Charon, Type O Negative, and recent Tiamat. If you're at all a fan of those bands, I recommend checking this one out. Wow. I MUST purchase Woods of Ypres! Thank you for the recommendation.